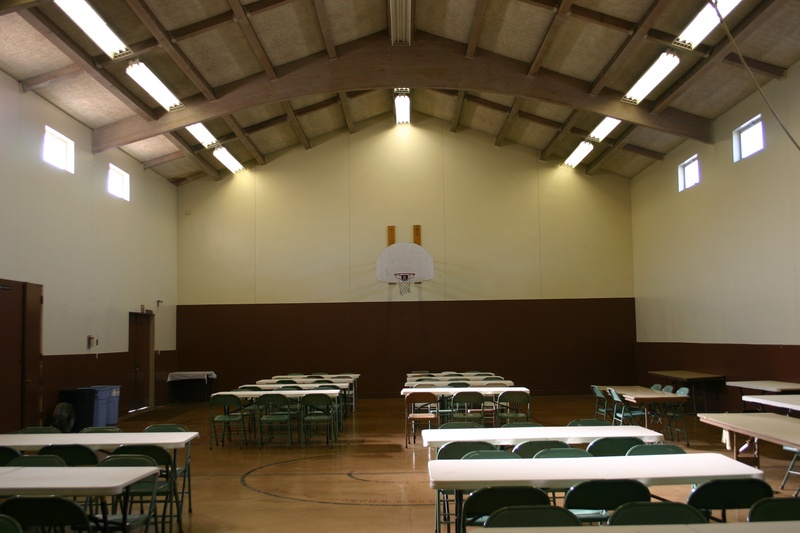 Our Christian Camp, Victory Ranch, is located at 18080 Gilman Springs Rd., Moreno Valley, CA 92555, about 85 miles east of Wilmington, and is owned by the Southern California Association of Regular Baptist Churches. It has been directed for many years by Brother Paul Cayot. What was called “The Group” organized and became “The First Baptist Church,” meeting in a large tent on the northeast corner of “L” Street and Gulf Avenue, Sunday, March 4th, 1928. 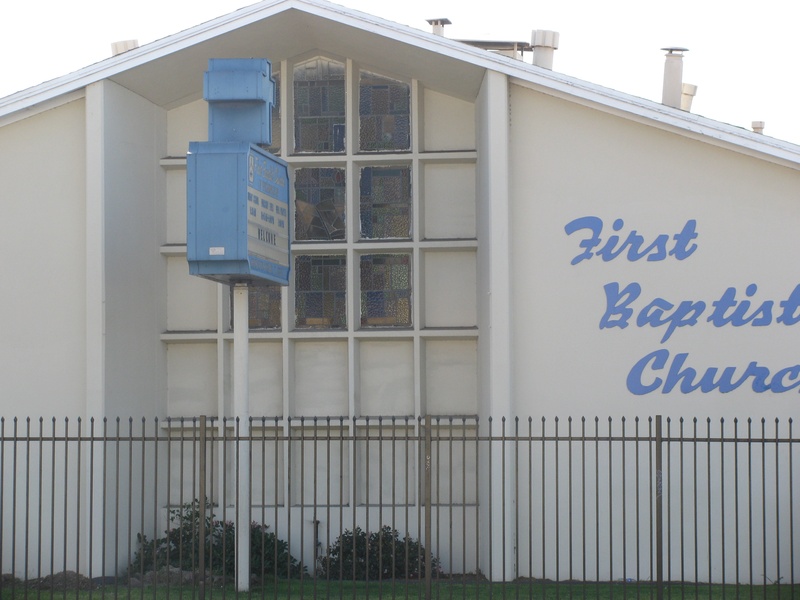 In May of that year they began meeting in a store building at 809 W. Anaheim Street, with Robert F. Genter as the first Pastor. In 1931 the church began meeting at 915 Neptune, and then purchased the parsonage at 911 Neptune Avenue and in the coming years there was expansion of property and facilities on Neptune Avenue. In 1956 our present property was purchased, and in 1957 a parsonage at 1428 McDonald, with the old parsonage being used for Sunday School. The present sanctuary began being used in November of 1961. In 1962 the men of the church began building the Christian Education building. It was completed and dedicated in June of 1965. The gym was dedicated in 1967. The annex (east wing of the sanctuary) was completed 1974. We are grateful to God for the facilities He has provided for us through His people, with much of the construction being done by the congregation. Although there is information on the internet and on our church sign that we have a K-12 school, that is not a present reality. 1.1 miles east of the 110 Freeway, next to McDonald's. On the south-east corner of Broad and Pacific Coast Highway. We currently do not have a permanent Pastor, but weekly we have a man of God preaching to feed the flock. Staffed nursery is available for Sunday School, Sunday A.M., Sunday P.M., and Wednesday P.M. Services. Our Missions Conference is held yearly in February. Once new information is known for 2019, we will include on the Webslte. 16, Women’s Fondue Night 5:30 p.m.
4, Mothers' Day Luncheon, 12 p.m.
18, Ladies Movie Night-5:30 p.m.
8, Church Hike Day 9-12 p.m.
14, Men’s Father’s Day Dinner - 7:00 p.m.
13, Bowling Night 5:30 p.m.
17, Church Hike Day, 9-12 p.m.
7, Tree Decoration Party- 5:30 p.m.